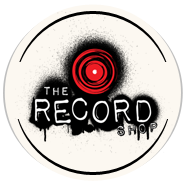 The Record Shop is a Nashville Recording studio that offers a wide range of demo production services for songwriters and artists. We prefer to not use the word “demo” as it can often come with the reputation of “demo quality.” Or the idea that, “we will just lay this down real quick and record the real track later” We believe that, regardless of the complexity of the production, every recording we make should authentically represent the song. Our approach to a demo production is very similar to how we produce a master recording. (You can visit our Record Production page for more detailed information on our production process) The main difference is that sometimes you just need a basic recording of your song without all the bells and whistles. Far too often, Demos are approached with the concept of quantity over quality. Here at The Record Shop, we want to change that mindset. We have developed our demo production process to focus on authentically achieving the writers vision for the recording. Therefore, the production style, session players, and vocalists are all hand-picked based on what each song calls for. Before your demo session we will schedule a basic pre-production meeting to discuss the purpose of the recording (pitching, reference, promo release, etc) and the artistic direction. Based on that discussion, we will choose the equipment necessary for the recording, and have the studio set up when you arrive. This allows us to jump right into the recording, and not waste valuable time setting up during the session. Many Nashville Recording Studios only provide an engineer for demo sessions. Here at The Record Shop, you will have the guidance of a Producer/Engineer to assist in helping you achieve the right production and sonic character for your demo. If you are recording a guitar-vocal or piano-vocal production, we can also add drum programming and additional instrumentation to help give your demo some punch. The most common demo productions are either a guitar/vocal, piano/vocal, or full band recording. We can also assist in producing a comprehensive “musician demo” for any instrumentalist. These demos can also be combined with an EPK video.